Strengths & Weaknesses: Soryu is a very fast wolf. He's as strong as an average wolf, but he pushes himself so much that he can lift much more than usual. His stamina is in excellent condition and he is a very smart wolf, but he can't climb trees. 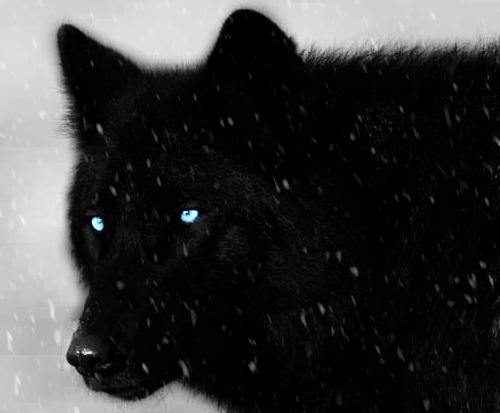 Personality: Soryu is a calm, cool, and icy wolf. He is quiet, aloof and acts like he never cares. He'd rather contemplate his thoughts in silence. The flip side is that he'll never say more than what's needed and is quite mindful of people. He can sense their moods and he is very observant. He isn't timid and will jump into any situation, as he knows no such thing as fear. He isn't someone that will judge someone immediately and isn't very impulsive, but he can be quite cold and calculating if you've left a bad impression on him. However, he doesn't hold grudges and usually shrugs everything off. Inwardly, he is very kind and cannot turn away from someone in trouble, but he won't bring other people into his own problems and keeps it all bottled up. He rarely opens up enough to speak more than 5 sentences in a conversation. His icy exterior may be a bit foreboding, but it can 'crack'. He fears being a cold hearted wolf,and he hates large amounts of bugs. However, he likes to sit down, alone, and think to himself. He also likes swimming quite a bit. Other: Soryu is a part of a pack. It is widely spread out and it has no defined territory. 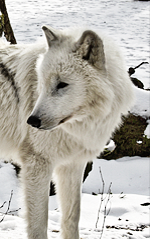 The pack members do as they please, but their alpha may call on them to take care of matters that involve large movements or packs. His grandfather is leader of this pack. His father, along with his mother had disappeared after his birth. His grandfather took him in and trained him in the way of the alpha. However, Soryu would like to pursue the loner life, but his ties to his kind grandfather keep him from doing much.